Love trains and remember them fondly from when the station master stopped the train just for me, on my way to Granny’s house, followed later by the the wonderful European trains. Trips to Mexico City in the 70ties and 80 ties, with pullman and two meals included in the very inexpensive price were also much appreciated. Recall asking a conductor on the train from D.F. to Oaxaca approx. when we would get there. He just looked at me and then laughed hilariously. One of the the first sentences I learned in German, however, was “The train arrived punctually at 9:37 in Berliin. Did you purposely leave out the “Tequila Train”, still running and most popular. Thanks for your interesting comment. We’ve got another couple of train-related articles coming up in the next couple of weeks; hope you enjoy them, too. In the 1980s, I, too, took the Guadalajara-Mexico City train many times, and it was a great way to travel. I loved the fact that it gave me a whole day in Mexico City without any need to arrange a hotel. 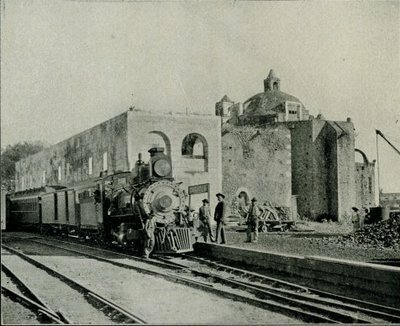 The Tequila Train (and I think it now has a rival along the same tracks) is an avowedly tourist train and falls somewhat outside the scope of our existing articles about Mexico’s regular train system, but may well be worth an article in its own right in due course. Thanks for the suggestion!